Open 7 days a week, Café Grand is a vibrant and modern all day bar/restaurant. 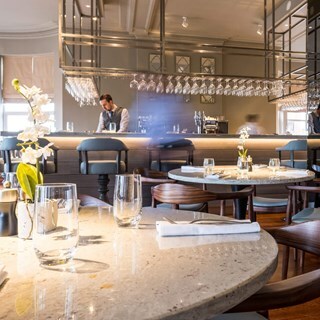 Excellent meal of terriaki salmon , broccoli, with superb first class table service from Andre & Barbara , well done to all the team and Chef Nick and his team for doing so well on a very very busy Easter Friday. The only thing we find is the music is to loud at times inside and out, a few people have mentioned the same to us. Otherwise the food and service  is excellent. Excellent meal, extremely well looked after by our waiter. He turned out to be Rodney’s grandson. Rodney was Master of Ceremonies at our wedding 17 years ago to the day. It was such a shame my Fiances birthday treat was marred with disatisfaction. The 6 beef dinners were of poor quality. Gristly meat that was unconfortable to eat. One guest had to get another knife to cut hers. My one male guest complained after the poor service from the waitress was addressed and not to his satifaction. We were given 2 choices of beer on verbal request and when asked about gins given very little info. Yes we could have spent time perusing the menus but still feel that the waiting on staff should be knowledgable. When we verbalized our disatifaction and returned plenty of inedible beef we were informed that no other customer had expressed the same issue. Not the most professional response. The waitress was argumentative towards my Daughter. For me it ruined the atmosphere and the occasion. I would have liked some input from the Chef. Also not a disgruntled look on our way out from the Waitress. Also unprofessional. Def more training needed. We are not awkward customers but do like to be treated with some respect and not made out to feel like we were the ones in the wrong. The Grand has gone downhill in service yet looks the part. It is a shame. Please look at ways to attend to customers to please. I was very disappointed. A reduction of £33 for the 6x beef dinners was given and coffees on the house. It is just a shame that we came away feeling a little short changed. £20 for beef that was of poor quality is inexcusable to even be charged at all. The Waitress did not provide the service that warrented a tip so I chose not to give one. I hope that this is seen as constructive and taken seriously. The desserts were good and we wish wed had the lamb. As for personnel - well training and an attitude change is required. We had a table for 4 on Friday night and it was lovely. The food was fantastic, very good atmosphere and we did turn up about 20 minutes late but it was all ok.  Would definitely recommend and will be returning soon. Excellent service, excellent food, beautiful hotel. Simply nothing not to like. The only thing I would say is that a prix fixe menu would be a great addition. 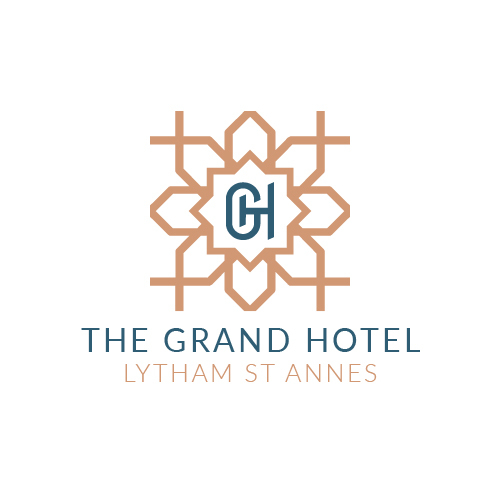 This was our first time dining at The Grand, it came highly recommended to us and what a sheer delight of a place to celebrate my mums birthday . From welcoming , service, atmosphere and the food everything was outstanding . I have submitted an email enquiring about booking the private dining area now to celebrate my mums 80th for next year and I am just waiting on coresponance back from someone. Looking forward to our next visits ! We are coming again this week! Love the dining chairs and ambiance of the Grand. Please don’t change too much. have a  value for money Table dote for off peak dining in quieter months. The desert menu was a bit under whelming and thought over priced for what you actually got. Also had the roast dinner on the Sunday the beef was lovely also the Yorkshire puddings were great but the roast potatoes were hard and cold had obviously been sitting for quiet a while before being served we dined at 7.30pm really expected better. Service was excellent staff very nice. Food very good and reasonably priced. Drinks, although nice were far too expensive. Lovely lunch, lots of options on the menu. The service and team are so helpful and friendly and they really can’t do enough for you. The food is amazing and the steaks cooked to perfection. The food and setting were excellent and could not be faulted. However the service was much less than expected and on the whole disappointing. Once we were sat the wait time to order a drink was unexpectedly delayed and felt as though we had been forgotten. Although the service would not be described as rude it could be considered slightly neglectful. More interaction and sense of urgency would have been appreciated.